Almost 80 attendees flocked to the first ever awarding. 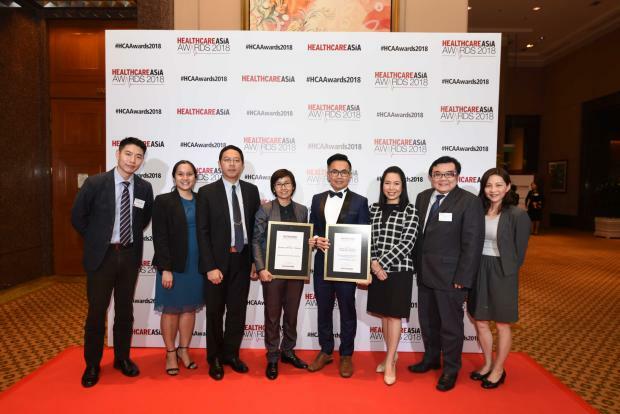 Senior executives and prime industry figures from the Asia's prestigious hospitals and healthcare firms flocked to the Conrad Centennial Singapore on 23 May 2018 for the first ever Healthcare Asia Awards night. The gala night featured 34 awards this year as nominations hit 45. Representatives from Amina Hospital, Bumrungrad International Hospital, Femto Research Group Co.,Ltd, Fullerton Healthcare Group, Makati Medical Center, Mater Hospital Sydney – A facility of St Vincent’s Health Australia, Muscat Private Hospital, Philippine Heart Center, St. Luke's Medical Center - Global City, The Medical City, Tropicana Medical Centre, Union Hospital, and United Family Healthcare.